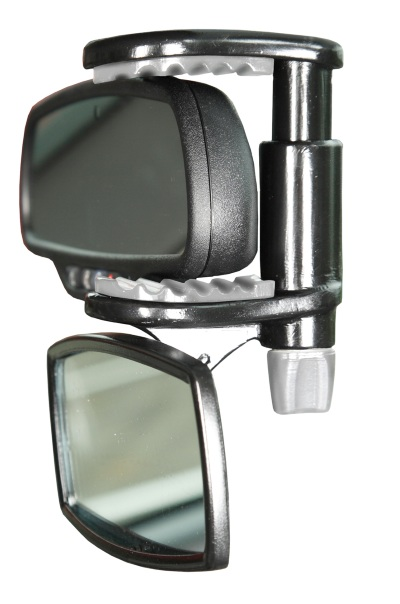 Adjustable mirror which allows you to monitor the entire backseat of the car while you are driving. 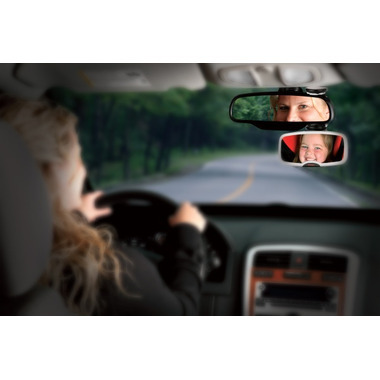 The See Me Too™ attaches to your existing rear view mirror using a unique clip and offers a crystal clear view of the children in the back of the vehicle. No distortion. 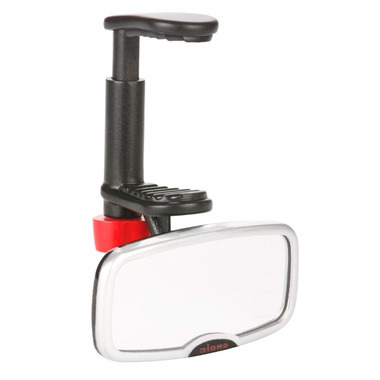 Mirror measures 2.25" H x 4.75" W (5,7 x 12,1 cm) which allows you to see the entire back seat. Love this!! I was nervous it would be either a huge blind spot or too small of a mirror to see my daughter. But it is perfect!!! Very sleek yet great quality and easy to see her behind me!